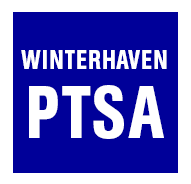 Winterhaven Spring Clothing Drive—Monday, April 9-Friday April 20—This drive provides clean, gently-worn children's clothes to the Portland Council PTA Clothing Center, a central location that distributes wardrobe items to families in need across PPS. Please bring your bagged clothes to the plastic bins located in the front foyer of the school starting April 9th. PTA Clothing Center Volunteer Day—Monday, April 23 (9:30-1pm)—Six WONDERFUL volunteers are needed for 4 hours at the Portland Council PTA Clothing Center at Marshall High School: 3905 SE 91st Ave, Portland, OR 97266. This is an incredibly rewarding experience for volunteers to help students "shop" for clothes that fit and are fashionable or to help the Center sort their incoming donations. Please join us for this day and help make a world of difference to a child. We have so many opportunities this year for you to share some of your abundance with the community at large!